Next year’s Mardi Gras Carnival will be supporting the Isle of Wight’s bid for the Island to become a UNESCO biosphere reserve. 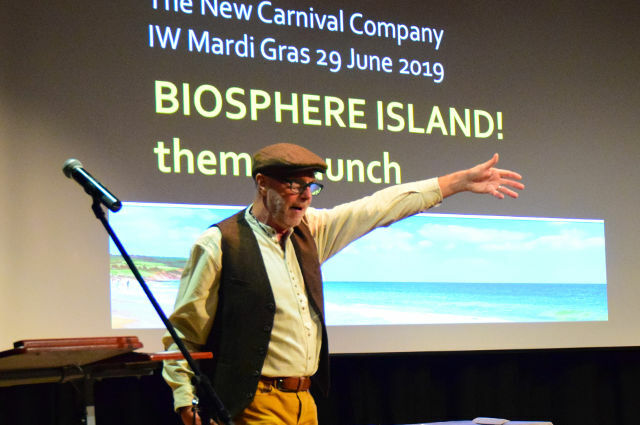 The New Carnival Company (NCC) launched 2019’s Mardi Gras theme, Biosphere Island, and date, 29th June, to a packed theatre at Quay Arts last week. Once again supporting Isle of Wight Area of Outstanding Natural Beauty’s (AONB) bid for the Island to become a UNESCO biosphere reserve, Biosphere Island will follow on from last year’s colourful Global Biosphere parade. Special guests included 15 members of the UK Man and Biosphere committee, local school, community groups and partners involved in Mardi Gras. NCC revealed the 36 parade group themes, taken from AONB’s biosphere bid and highlighting what makes our Island unique. 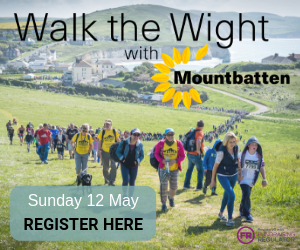 Every groups theme, from Red Squirrels and Dark Skies to Fort Victoria and Chalk Downs will be partnered with a relevant local organisation or business for an educational field trip or talk to inspire costume design. AONB’s Richard Grogan announced that the exciting decision regarding the Island’s Biosphere status is expected on 18th June, 2019, just a few days before Mardi Gras. Richard introduced Matthew Cragoe, Chair of the UK UNESCO Man and Biosphere Committee, Chris Woodley-Stewart from North Pennines Global Geopark and Rich Howorth from Brighton and Lewes Downs Biosphere to talk about the many benefits Biosphere reserves bring to an area. “We were overwhelmed at the response to Mardi Gras 2019 – there were over 140 people in the auditorium representing 26 school and youth groups plus 20 representatives from heritage and cultural organisations. 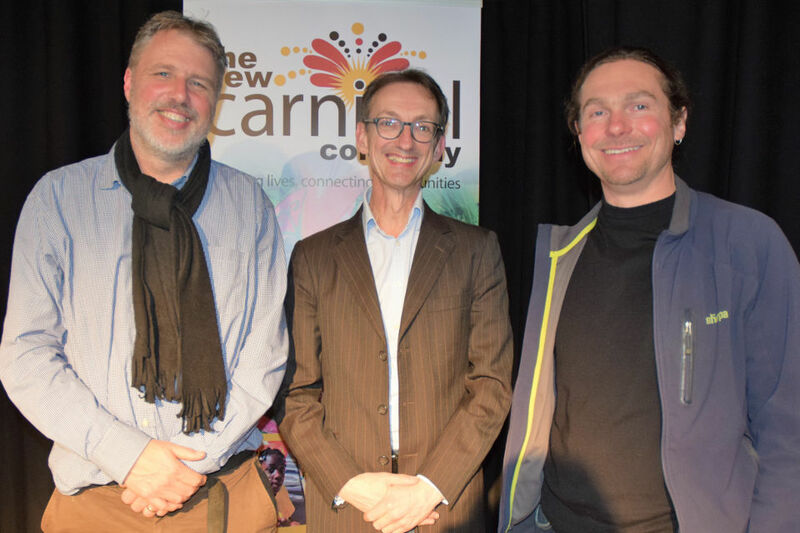 Also during the evening, NCC spoke about the educational and creative value of Mardi Gras, the move towards a greener carnival, workshop support, and timelines leading up to the parade. Virgil Philpott from Carisbrooke Castle Museum, Sarah Girling from Lift the Lid and Lucy Marder from Artswork gave short presentations about the support their organisations can give to groups during the project. To learn more about getting involved with Biosphere Island Mardi Gras 2019, contact NCC on 716095. 7 Comments on "Isle of Wight Mardi Gras to promote Biosphere Island in 2019"
Having followed three different private vehicles emitting plumes of thick black smoke across the Island this morning (one 03 red Vauxhall small van, two white Ford Transits), surely it is time for emissions policing on the island? You can report PSV and HGVs, but not private vehicles, which are more likely to have had their filters illegally removed. A useful reminder of the extent of the serious and worsening human damage to our only biosphere. Extinction Rebellion link to follow.